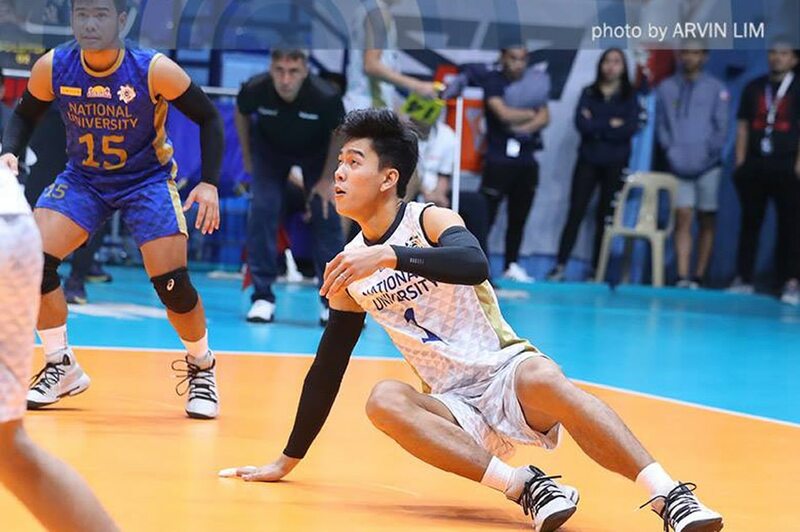 MANILA, Philippines — Defending champion National University (NU) continues its roll in the UAAP Season 81 men’s volleyball tournament, this time overwhelming University of Santo Tomas (UST) in straight sets on Sunday at the Mall of Asia Arena. The Bulldogs booked a quick 25-20,25-21, 25-9 triumph over the Tiger Spikers, thus claiming their 11th win in a row. At 11-1, NU has not dropped a game since their season-opening loss to Far Eastern University (FEU). They are also assured of a twice-to-beat advantage in the Final 4. Bryan Bagunas and Nicolas Almendras each scored 15 points, while James Natividad added 13 markers for the Bulldogs, which needed just 66 minutes to complete the victory. The defending champions completely overwhelmed UST with their offense, as they tallied 47 kills in the game to only 26 for the Tiger Spikers. Joshua Umandal was the lone UST player in double-digits, with 12 points. UST, which has now lost three straight matches, dropped to 4-9 in the tournament. Meanwhile, FEU is assured of at least a playoff for a semis bonus after a 25-20, 25-14, 19-25, 25-9 victory over University of the Philippines (UP), also on Sunday. The Tamaraws pounced on UP’s error-prone ways, as they got 30 free points off the Fighting Maroons’ errors in the win. Peter Quiel led FEU with 15 points, while Jude Garcia had 12 points and Richard Solis added 11. FEU improved to 10-2, giving them a 1.5-game cushion over Ateneo and Adamson, which are tied for third and fourth with identical 9-4 win-loss records. Jerry San Pedro had 13 points, and Mac Millete scored 12 for the Maroons, who are a league-worst 1-11. It was their fourth straight defeat of the season after a breakthrough triumph over University of the East.